Thoughts, advice, and stories from 40 successful women across a variety of careers—from authors to actresses, CEOs and professors—encouraging women to support each other in the workplace and in life—along with action plans on how all women can work together to break free from the binds of gender inequality. Nancy D. O’Reilly, PsyD, is an author of Leading Women: 20 Influential Women Share Their Secrets to Leadership, Business, and Life and urges women to connect to help each other create a better world. As a licensed psychologist, motivational speaker, and women’s empowerment expert, O’Reilly helps women create the satisfying and purposeful lives they want to benefit themselves, their families, and their communities. She is the founder of Women Connect4Good, a foundation which empowers women to participate in social-profit activities and improve their careers, finances, health, and relationships. 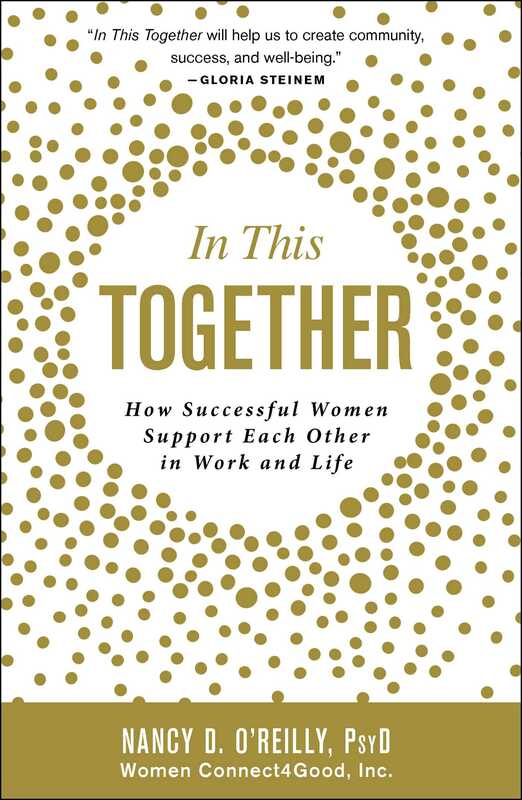 "Whether our problem is isolation in a male-dominant culture, distance across racial barriers, living in front of a computer screen, or all three, Nancy O'Reilly's In This Together will help us to create community, success, and well-being." "Easily digestible, clear, and direct, the book presents a good overview of a complicated subject, with a strong focus on intersectionality and actionable plans." "Just as with getting clear on your goals and resolutions, you don’t have to imagine all this from scratch. Check out In This Together to see how you can develop a community of like-minded allies … there’s a ton of actionable insights from 40 successful women that will help you harness the collective power of that community."